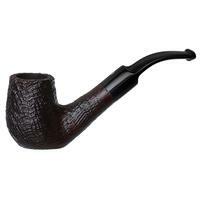 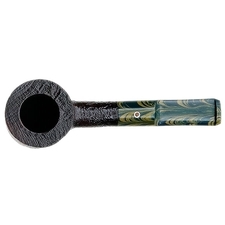 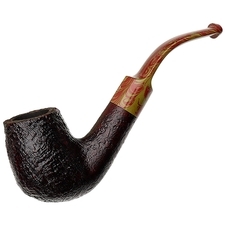 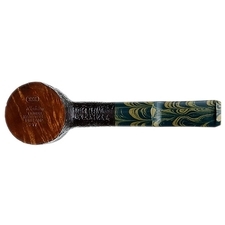 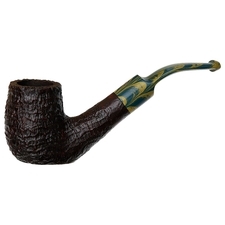 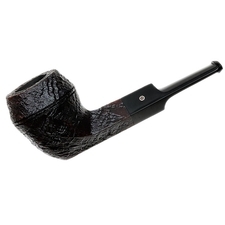 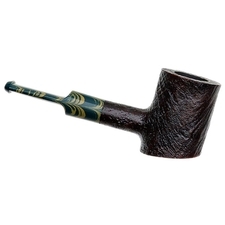 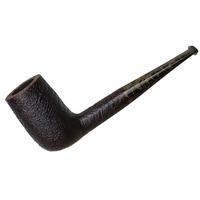 In this rendition from Ashton, the ever-versatile Poker shape has been given the abbreviated proportions of a Stubby, making it all the more compact and convenient. 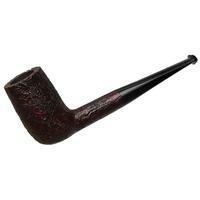 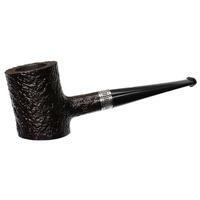 It still features a respectably sized chamber, though, in spite of its diminished length. 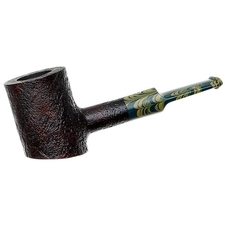 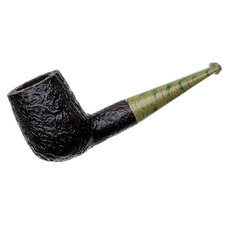 Most striking, however, is the lime-green-and-aqua-hued brindled vulcanite stem that contrasts superbly against the dark sandblasted finish of the stummel.